Performance from the four-cylinder and V-6 engine options are significantly different, and the two cars get completely different steering systems as well, so ensure you test drive both for the 2010 Chevrolet Malibu. The 2010 Chevrolet Malibu remains one of the strongest players in the mid-size sedan segments, though its rivals are certainly worth a look. TheCarConnection.com has searched the Internet to find the most useful reviews from around the web, then compiled this article to cover all the bases. 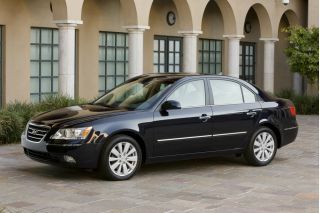 And to assemble our own impressions and recommendations on the 2010 Chevrolet Malibu, TheCarConnection.com's editors spent countless hours with its several of its variants, from basic to luxurious. 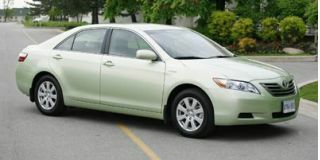 After neglecting its passenger car lineup for most of the past two decades, GM showed that it could still design an affordable mid-size sedan capable of keeping up with the segment leaders, the Toyota Camry and Honda Accord, when it launched the completely redesigned Chevrolet Malibu in 2008. The car featured attractive styling, build quality comparable with that of much more expensive rivals, and powerful, yet fuel-efficient, engines. The potent 252-horsepower 3.6-liter V-6 remains an option, providing a lot of kick and refinement for more demanding drivers. It's better suited for full loads or mountain passes, but it doesn't feel overtly sporty. 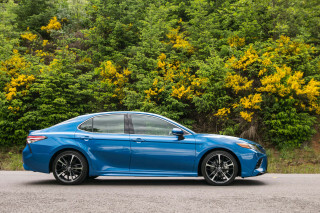 The four-cylinder mill, however, remains the most popular option, developing a healthy 169 horsepower while returning a fuel economy of 22 mpg in the city and 30 mpg on the highway. Performance from both engines is very smooth, while handling is well-controlled at most speeds, though push it a little and things can start to get awry. Differing power steering systems equipped on four-cylinder and V-6 models deliver vastly different driving characteristics, explained in more detail below. Just as the exterior is attractive, so is the cabin, which is well designed and features materials with a quality feel. The front seats are among the most comfortable in the mid-size sedan class, while the back offers more legroom than most rivals. Safety is another of the 2010 Chevrolet Malibu's strong suits, with standard electronic stability control, traction control, anti-lock brakes, and a host of airbags. OnStar emergency telematics is also included. The Malibu naturally earns five-star scores in all federal crash tests and aces Insurance Institute for Highway Safety (IIHS) testing with scores of "good" in frontal offset and side tests. The 2010 Chevrolet Malibu lineup consists of three models: the base LS, midrange LT, and luxury-packed LTZ. The LS comes with enough goodies to suit most drivers. Buyers moving up to the 1LT model now get a standard six-speed automatic transmission, while the 2LT four-cylinder model also gets 17-inch chrome-finished wheels. Splurge a little extra for the range-topping LTZ and you get a whole assortment of extra, luxury-level features. The 2010 Chevrolet Malibu features a bold and attractive exterior that’s matched by a stylish cabin. The 2010 Chevrolet Malibu continues as one of the best-looking cars in its segment and doesn't seem out of place sitting next to some much more expensive models. The Malibu's handsome-but-average design still pleases reviewers from The Los Angeles Times and Edmunds, while The Washington Post was pleasantly surprised by Chevrolet's show of restraint by not attempting to turn its mid-sizer into something it isn't. 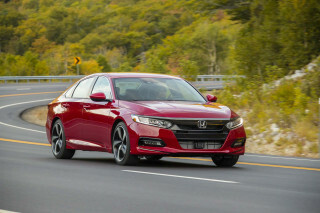 Likewise, the Malibu's interior impresses Edmunds with design and materials only bested by the Honda Accord, while Cars.com states the only GM vehicle up to the same design benchmark is the Saturn Aura. 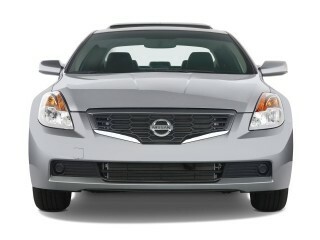 In all, the Malibu gives consumers a reason to look at another option besides the Honda Accord and Toyota Camry. The 2010 Chevrolet Malibu benefits from confident handling, a quiet ride, and an overall level of refinement that’s hard to beat in this class, though sporty drivers may be left wanting more. Anyone looking for a comfy and fuel-efficient sedan that's also a fun drive would be smart to test drive the 2010 Chevrolet Malibu. A 169-horsepower 2.4-liter four-cylinder leads the charge for the Malibu, delivering a solid blend of efficiency and power for the midsize sedan. 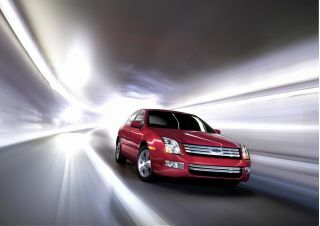 The entry engine boasts an EPA rating of 22 mpg city and 30 mpg highway. Those looking for additional refinement and performance can option the Malibu with a 252-horsepower 3.6-liter V-6. Both engines are mated to a top-notch six-speed automatic. 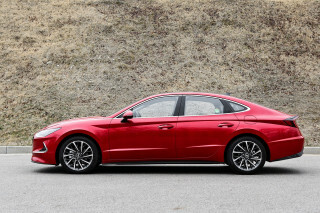 The 2.4-liter delivers eager, energetic performance, note ConsumerGuide and The New York Times, comparing well to four-cylinder-powered versions of the Honda Accord and Nissan Altima. The smaller engine also makes use of a re-engineered intake manifold for nullify some of its previous thrashiness, claims Road & Track. While the V-6 does offer better performance than the smaller four pot, Cars.com believes its real-world performance doesn't match its stated output. 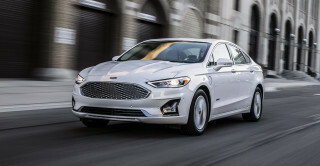 Edmunds bemoans the V-6's fuel economy, but pins most of the blame on the sedan's 3,649 pounds of heft, calling it the "fat kid" of the segment. Pushing the Malibu through the twisties reveals body roll more pronounced than its competitors, reports Cars.com, though the mid-sizer delivers on ride quality. 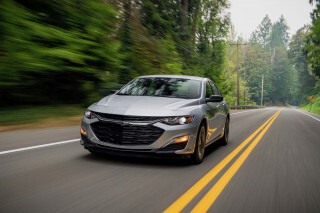 Performance isn't the Malibu's forte, but TheCarConnection.com's reviewers value the Malibu's ability to mix confident handling for day-to-day driving with a smooth ride. An electric power steering system aids four-cylinder models in their fuel-sipping mission. But V-6 models and their hydraulic steering systems provide better feel. The cabin of the 2010 Chevrolet Malibu has an upmarket feel and loads of space for all passengers. The interior of the 2010 Chevrolet Malibu is well-designed, and its materials have a good, high-quality feel overall. The front seats are among the most comfortable in the mid-size sedan class, while the back offers more legroom than most rivals. Chevrolet's 2008 redesign of its mainstay mid-size sedan increased front and rear legroom for passengers and its new seats improve accessibility and comfort, say Cars.com and Edmunds. Finally free of rental car-quality hard plastics has given Road & Track reason to celebrate the Malibu. Meanwhile, Kelley Blue Book points out the Malibu's center console bin can open large to swallow bulkier items while smaller possessions can be placed in the convenient storage bin atop the instrument panel. Even rear seat passengers can charge up their devices thanks to a 110-volt AC power outlet. 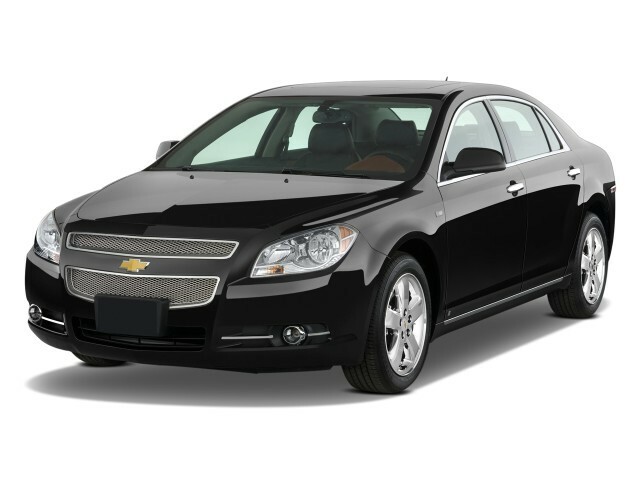 The 2010 Malibu is one of the most refined vehicles in its class. Special engine mounts in the Malibu substantially help prevent engine vibrations from transmitting through the chassis. However, ConsumerGuide warns buyers should make note of the tires fitted on any Malibu during a test drive as some are more likely to create excessive road noise. Edmunds notes the Chevrolet employs additional countermeasures to keep the cabin as quiet as possible, such as acoustic glass, insulation, composite-lined wheel wells, and a firewall fabricated with tighter tolerances. The 2010 Chevrolet Malibu scores top marks for safety in all levels of trim. The 2010 Chevrolet Malibu is hard to beat when it comes to safety. It hits all the right notes with features and crash-test scores. According to Edmunds, "the 2010 Chevrolet Malibu scored a perfect five stars in all frontal and side crash categories in government crash tests." It also comes with "good" ratings from the IIHS in frontal offset and side tests. According to the National Highway Traffic Safety Administration, the chance of a rollover accident is 10 percent; the overall range for all passenger cars is between 7 and 18 percent. Car and Driver points out that the 2010 Chevrolet Malibu is "loaded-up on safety features." Kelley Blue Book backs this up by stating that the Malibu's comprehensive list of standard safety features includes four-wheel disc brakes with ABS and traction control, StabiliTrak stability control, front seat-belt pretensioners, OnStar 8.0, and six airbags (dual-stage front, front seat-mounted thorax (side) and two-row head-curtain bags). MotherProof confirms that all six airbags work properly. During the test, "the safety cage compartment was not intruded upon." The 2010 Chevrolet Malibu has most of the features mid-size sedan buyers want, but a true nav system is missing. The 2010 Chevrolet Malibu offers a decent range of features at a good price, but it lacks a few of the options that rival mid-size sedans offer. The Malibu lineup for 2010 features three models, starting with the base LS, which is followed by the midrange LT, then luxury-packed LTZ. The LS comes with power accessories and steering-wheel-mounted audio controls, while LTZ models get important features such as remote start, automatic climate control, a universal remote, and power-adjustable pedals, plus a number of stylistic extras like LED tail lamps and interior ambient lighting. Kelley Blue Book points out that "certain high-end features available on competitors, like DVD navigation, music streaming and keyless start and entry, are not offered on the Malibu." 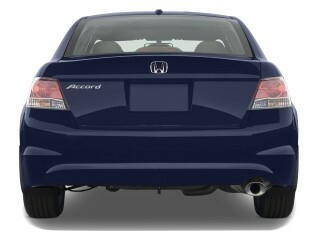 For 2010, driver power-adjustable lumbar replaces manual lumbar on all models, and there are three new color options. Four-cylinder LT models also get 17-inch chrome-finished wheels as standard. Bluetooth is still offered as part of the OnStar system, and an optional premium audio package gives you access to a six-CD changer and an auxiliary MP3 jack. Speaking of the OnStar system, its navigation offers both positives and negatives. Edmunds believes that GM made a mistake by not offering an actual navigation system. They found that the OnStar feature would not even function at first; eventually, it did, but the drivers were not impressed with the turn-by-turn navigation, which is a poor substitute for the map-based systems on most of today's vehicles. Malibu owners get a one-year complimentary subscription to OnStar, but after that, there's a fee for the service. One of the finest automobiles I've ever purchased new. I purchased the 2010 Malibu 2LT brand new August of 2010. Great, great car. I rate it 5 stars in all segments! I am one happy owner!